The American Society of Anesthesiologists designates this internet enduring material for a maximum of .50 AMA PRA Category 1 Credits™. Physicians should claim only the credit commensurate with the extent of their participation in the activity. 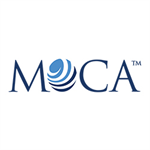 MOCA® Approval Statement: This activity contributes to the patient safety CME requirement for Part II: Lifelong Learning and Self-Assessment of the American Board of Anesthesiology’s (ABA) redesigned Maintenance of Certification in Anesthesiology Program® (MOCA®), known as MOCA 2.0™. Please consult the ABA website, www.theABA.org, for a list of all MOCA 2.0 requirements. This program has been prior approved by the American Association of Nurse Anesthetists for 0.50 Class A CE credits; Code Number 1036189; Expiration Date 11/21/2020. This continuing nursing education activity was approved by Montana Nurses Association, an accredited approver with distinction by the American Nurses Credentialing Center's Commission on Accreditation. Recognize risk factors for cardiac tamponade. Consider and make the appropriate diagnosis of tamponade. Review management considerations of cardiac tamponade in the setting of central venous access. Tetsu Uejima, M.D., Letitia J. Easdown, M.D., Keith Ruskin, M.D., Deborah Schwengel, M.D., Alexander Arriaga, M.D., Maria Van Pelt, Ph.D., CRNA have reported no relevant financial relationships with commercial interests. David Martin, M.D. 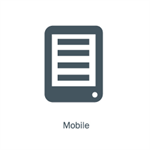 has reported receiving royalties and has an equity position with Nevro. Michael Loushin, M.D. has reported ownership, equity position, and honoraria from Preceptis Medical, Inc.
Gerry Higgins and Kenneth King have reported no relevant financial relationships with commercial interests. After successfully completing this activity, the learner will be able to recognize risk factors for cardiac tamponade, consider and make the appropriate diagnosis of tamponade, and review management considerations of cardiac tamponade in the setting of central venous access. 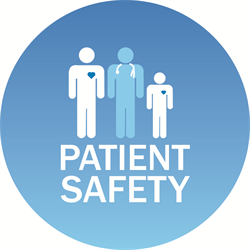 This case-based CME program educates through the presentation of patient safety scenarios, and is available exclusively online. Patient safety is a component of the ABA’s MOCA® requirements.